"Winter" was the first theme presented on the Vue d"Esprit list group. After considering my many thoughts about the season, I elected to concentrate on the peace and calm of newfallen snow reflecting the colors of dawn. 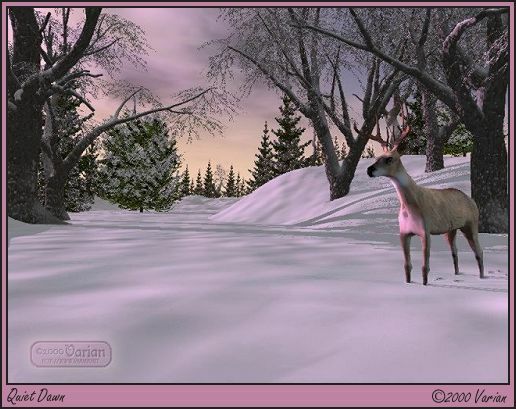 PSP was used to smooth out a small portion of the foreground material, add the deer's prints and to clone a few extra trees into the distant background.